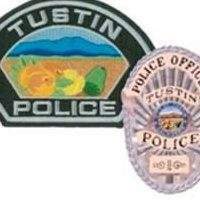 Two Tustin Police officers suffered minor injuries on Wednesday while scuffling with Christopher Perleberg, 30, of Santa Ana, who is suspected of violating a domestic violence restraining order, according to the O.C. Register. The police officers showed up at the Key Inn and Suites in the 1600 block of El Camino Real in Tustin at about 1:50 in the morning and they discovered that Perleberg was violating a domestic violence restraining order. However as the police officers tried to remove Perleberg from his automobile he resisted and ended up injuring two officers before they were able to finally arrest him. Perleberg was arrested on suspicion of violating a restraining order and resisting arrest, according to the Tustin Police. The police officers received treatment at an area hospital for minor injures but the nature of their injuries was not divulged.